Seahorses have seen a major shakeup overnight with the publication of a major revision to the group’s taxonomy. 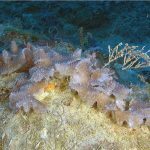 For about as long as we’ve known about them, these whimsical creatures have challenged our ability to accurately recognize their true species diversity, despite being some of the most instantly recognizable and iconic of marine organisms. 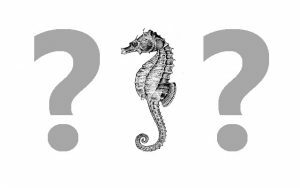 Even a small child can identify the shape of a seahorse, but recognizing the differences present between Hippocampus curvicuspis and Hippocampus kuda is another matter entirely. And this is not some pedantic point of interest solely to taxonomists; there are significant ramifications when these challenges are encountered by conservationists working to protect this increasingly imperiled group. The Walea Soft Coral Pygmy Seahorse was only described in early 2009. It was first discovered on Waleabahi Island in the Togian Islands, Central Sulawesi, Indonesia. This individual was spotted at the nearby Kadidiri Island by Roser Gari, a divemaster from Black Marlin Dive Resort (http://www.blackmarlindiving.com). In the new revision, published in Zootaxa, authors Sara Lourie, Riley Pollom and Sarah Foster have investigated and summarized the morphology, biogeography and genetics of a vast number of specimens to arrive upon a new consensus view of where to draw the often tenuous boundaries between this group’s many species. 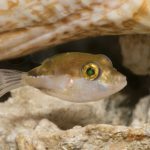 Previously, there has been little agreement as to how many species actually existed (which is not terribly uncommon in the world of fish taxonomy). While FishBase lists 54 valid taxa, the Catalog of Fish has settled on 71 (or, maybe, 73) and Rudie Kuiter, who is a leading authority on this genus, has most recently put the number at 83! By taking a conservative approach, Lourie et al arrived at just 41 species that can be confidently treated as valid. This is obviously a drastic reduction and gives an idea of just how unsettled our understanding of this group’s evolutionary history is. 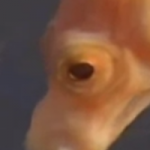 Part of the problem can be traced back to just how variable seahorses can appear in their morphology, either due to sexual differences, ontological differences and ecological differences. For the widespread Hippocampus kuda, one of the most abundant species in the aquarium trade, no less than nine (9!) formerly recognized taxa have been subsumed. Many of these were included in Allen & Erdmann’s monumental treatise Reef Fishes of the East Indies—the White-spined Seahorse (H. alatus), the Moluccan Seahorse (H. moluccensis), the Flores Seahorse (H. polytaenia), the Common Seahorse (H. taeniopterus)—but these are now thought to represent unusual variations of a highly protean fish. 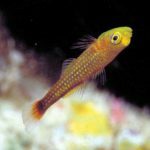 Most of the changes will have relatively little effect on aquarists, as the synonymized species were generally rarely encountered or geographically restricted taxa that were seldom, if ever, collected. Only H. taeniopterus, now lumped into H. kuda, has any real presence in aquarium literature. The real benefit to these changes will come to officials in charge of regulating the massive trade in dried seahorses for decorative and medicinal uses. A short video of some stunning, yet humble Réunion seahorses (Hippocampus borboniensis) in Chole Bay, Mafia Island. Seahorses are difficult to spot because they’re excellent at hiding and are also quite rare. They’re vulnerable to extinction due to low birth rates with lengthy parental care and exploited habitats from fishing or urban development. As lovely as it would be, there is essentially zero chance that this will be the last word on seahorse taxonomy, which the author’s themselves readily admit. There are still numerous points of contention, particularly for widespread species like H. kuda and H. hystrix, both of which likely represent allopatric complexes comprised of an uncertain number of genetically distinct populations. For the Thorny Seahorse (H. hystrix), populations from the Indian and Pacific Oceans have been shown to differ by more than 6% in their DNA, which is three times the benchmark used by these authors to separate species from non-species. The number of seahorses occurring around Australia is also still up in the air, and it’s likely we won’t know answers to these questions until more studies are done. The dwarf seahorses have many questions as well, as several of these recently described species overlap in range and morphology, and this entire subgroup of itty bitty equines may yet warrant recognition as its own genus based on existing molecular work. 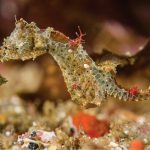 In total, seahorses are a confusing lot—the videos included in this article are all of species that have now been synonymized.